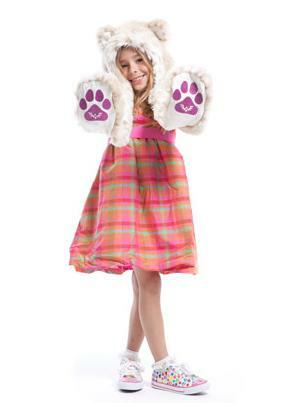 Children's fashion is all about fun, and nowhere is that more apparent than in the latest trend of animal hats for kids. If you haven't seen kids sporting these toppers yet, you soon will. This is one of the hottest trends for both girls and boys! Several companies are now offering critter-themed caps in a variety of styles and materials, including fleece, knitted, crocheted and faux fur. While many kids wear them just as fashion accessories, they are also a stylish way to keep warm -- these are hats you won't have to beg your children to wear! More than just a hat, a SpiritHood is a hat, a scarf and fabulous finger muffs, all-in-one. These luxurious faux fur hats come in a variety of gorgeous animals, including snow leopards, wolves, tigers, huskies, bears and the brand new bunny. Need even more fun than a cuddly wearable animal options? Their new doodle hoods let your kids draw on the canvas linings with included markers, wash and start all over again. While the SpiritHoods may seem a little pricey (prices run $59 - $79 for various hood styles), you're sure to love their high quality, sturdy washable construction and that they are made in the U.S.A. In addition, SpiritHoods donates a percentage of the proceeds from many of their products to animal conservation efforts with their Pro Blue label. Polar Bear: This white wool cap includes toasty ear flaps and dangle pom-poms. 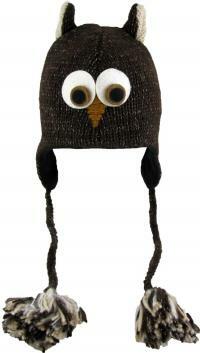 Wooly Owl: This brown owl will keep your head warm while making sure you have a hoot! DeLux also offers a gray owl style. Sock Monkey: Manufacturer David & Young has some cute styles as well. Amazon carries their fleece-lined, knit sock monkey proving these cuddly fellows aren't just for puppetry anymore. The acrylic sock monkey hat includes a cute face and dangling tassels. Panda : Apparel maker Neff is known for their edgy beanies. They were one of the first to incorporate avant garde designs into kids headwear, with their cupcakes, watermelon hats and adorable creatures. Their panda beanie was an instant classic! 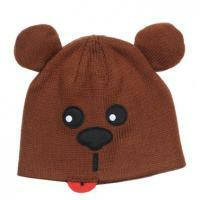 Bear: Neff's grizzly bear beanie is another favorite in 100% acrylic and super cute styling! Want to support individual artisans? Handmade goods marketplace Etsy has a fabulous selection of handmade hats for kids featuring nearly any animal you can imagine. While there are many options available to make a statement, look for high quality in addition to cute styling, as represented in the brands mentioned above. Keep in mind your climate and conditions in order to choose a hat that will keep your kid cozy as well as cute! 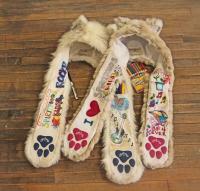 Note: SpiritHoods provided the author with a sample "Doodle Hood" for review for this article.